Sergio Marchionne, the former CEO of Fiat Chrysler and the man who transformed the company over 14 years, has died at the age of 66. He died just days after Marchionne was replaced as CEO. Unfortunately, what we feared has come to pass. 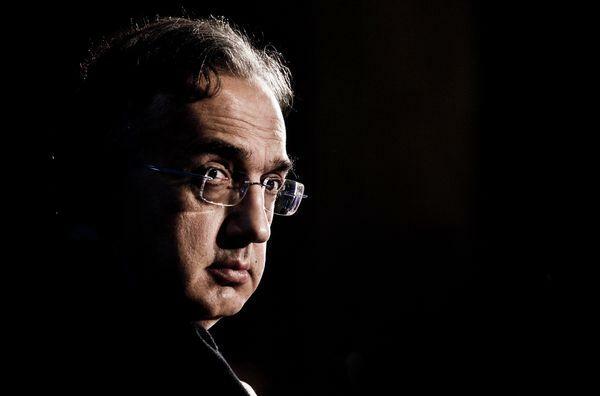 Sergio Marchionne, man and friend, is gone. I believe that the best way to honour his memory is to build on the legacy he left us, continuing to develop the human values of responsibility and openness of which he was the most ardent champion. My family and I will be forever grateful for what he has done. Our thoughts are with Manuela, and his sons Alessio and Tyler. I would ask again everyone to respect the privacy of Sergio’s family. Marchionne fell gravely ill after suffering complications following recent surgery in a Zurich hospital. He was replaced as chief executive last weekend after Fiat Chrysler said his condition had worsened following complications from shoulder surgery. A chartered accountant and attorney with dual Canadian and Italian citizenship, Marchionne began his career in Canada at Deloitte & Touche, then moved on to packaging producer Lawson Group. In 1994, Marchionne joined Alusuisse Lonza Group Ltd. after the Swiss chemical and pharmaceutical company acquired Lawson, Bloomberg reports. The 66-year-old, who died from complications following surgery, was a consummate dealmaker, known for his nonstop work habit and razor sharp mind. A poker player, his entourage told of sleepless transatlantic flights where their chain-smoking boss always wanted to play — and win — another hand of cards. The same passion defined his improbable rescue of Fiat via an audacious merger with Chrysler that saved both companies and created the world’s seventh largest car group. He persuaded General Motors to pay $2bn to escape its alliance with a near bankrupt Fiat in 2005 before swooping on a distressed Chrysler in 2009 and executing a full takeover of the group in 2014. He never lost his hunger for the next bravura deal — the more complicated the better — and from the start portrayed himself as a maverick ready to do the unexpected, right down to his rejection of corporate suits in favour of dark round-neck jumpers and button-down shirts. He used to say that dressing down saved time in the morning. For Fiat Chrysler’s investors, especially Italy’s Agnelli family which is its largest shareholder, he made a fortune. The market value of Fiat, including spun-off entities such as Ferrari, rose more than 10-fold under Marchionne. In more recent years, the Fiat boss, whose distinctive Canadian drawl would draw crowds at car fairs and press conferences eager to hear his acerbic wit or hints of another deal, launched a clarion call for mergers among mass-market carmakers to confront overcapacity and the spiralling cost of capital. Two months ago, at what was expected to be his final Fiat Chrysler investor day before retirement, he warned about the industry’s need to confront the threat posed by driverless cars and electrification.